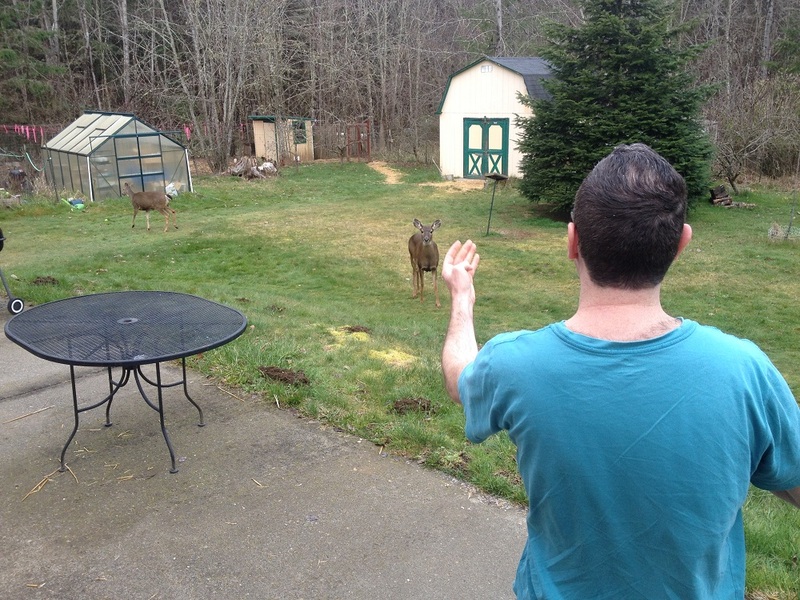 The deer spend less time in our backyard now. Sometimes during the winter, when snow covered every bit of pasture, there would be five or six deer waiting near our backdoor in the morning. My wife would talk to them like friends as she tossed out apples for them to eat. That happens less often during the summer, but they still know that this is a safe and welcome place to come. They often spend the night in the forest just beyond our yard. Over the years we have seen a wide variety of birds that return to the area every summer. These include eagles, hawks, doves and, pigeons. Just like in California, we have swallows that return each year. Rabbits and squirrels don’t hibernate during the winter, but they do hunker down in their homes, try to stay warm, and sleep more. So, we don’t often see them in the winter. However, this time of year they are out in abundance. We have to keep the barn doors closed or they would both be inside eating the chicken food. Living in the country can be hard work, but I wouldn’t want to live in a city or even a suburb ever again. The days are getting longer now, but it seems to me that this is the coldest time of the year in the northwest. While it doesn’t always snow in western Washington State it has this year and that brings more wildlife to the house and barnyard area. My wife feeds the chickens daily, but they hate the snow and usually stay in their house. However, squirrels and an assortment of birds come to feast in both the chicken area and the barnyard. My wife makes sure they are well fed. Meadows and pastures have little edible grass this time of year so deer are another common visitor to the barnyard. If they arrive early enough they eat bird food with the squirrels and birds. Whenever they arrive, the deer will often linger around the house. We grow some really nice apples, but I prefer my wife not feed those to the deer, so she started buying cooking apples to toss to them. On this farm, she cares for all creatures, great and small.